The diet for Celiac disease is based on the health of the intestines, which get damaged from the ingestion of gluten for people with this genetic disorder. Celiac patients cannot absorb gluten, which means that their bodies stop absorbing other nutrients as well, causing a multitude of health problems. While the Celiac diet may be a tough adjustment at first, it is a lifestyle change that can become second nature. The first rule is to eliminate wheat from the diet. 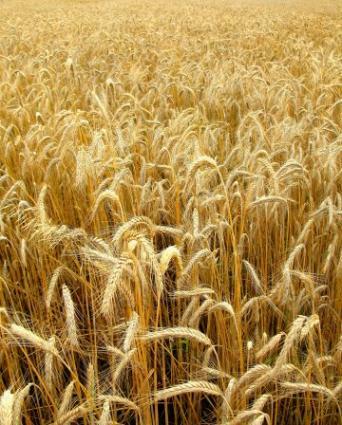 Gluten itself is the rough outer covering on the wheat grain. This outer coating is stripped to produce "white" grains. For example, whole wheat bread is made with the wheat still intact, while white bread is produced using the stripped grain. For most people, the closer to nature a food is, the healthier it will be, but that is not true for Celiac patients in regards to wheat. What Helps Malabsorption in Celiac Patients? Barley and bran also are no-no items for someone with Celiac disease. These grains have the same type of gluten covering. Other grains, though, are a bit more questionable. Oats have long been considered unacceptable for someone with Celiac because the oat grain is similar in makeup, but newer studies show that oats do not have the same effect on the digestive tract. Corn, too, is edible for most people with Celiac disease, but some Celiac patients find they cannot tolerate it. Gluten, like soy, works well as filler for many foods. Prepackaged foods, which include most crackers, have gluten in them as a filler ingredient. Many companies now include a bolded allergy label under the ingredient list, which makes it simple to spot gluten. The warning may say either "gluten" or "wheat." Just because something is not labeled, though, does not mean gluten is not in it unless the front of the box says "gluten-free" specifically. Many grains are acceptable. Though wheat, barley and bran are out, many others, such as oatmeal, quinoa, and tortillas are acceptable. Certain breads, such as potato bread, are naturally gluten-free. The other way Celiac patients eat bread is by making it from scratch or using a gluten-free mix, available in most supermarkets. All fruits and vegetables are good for people with Celiac. These foods can be eaten in any quantity and cooked in any natural way, such as steaming or baking. Adding anything to them, such as breadcrumbs or creamed soups, should be done with care and a knowledge of ingredients. Protein sources are aplenty for people with Celiac. Meats do not have gluten, as it is a plant-based covering, and soy-based foods, such as tofu, are gluten-free as well. Eggs and peanut butter also are acceptable on a diet for Celiac disease, though you should check labels on peanut butter to ensure against any gluten ingredients added during processing. Although Celiac disease is a life-long condition and greatly reduces the foods one can eat, it is controllable with a good diet and careful planning. Eating fresh fruits, vegetables and fresh cuts of meat is the easiest way to avoid gluten. Buying prepackaged or overly processed foods becomes too much of a hassle, and purchasing ingredients to make your own foods is healthier and safer. Select restaurants based on their menu choices. Since all but rice-based pasta is out, you likely will not enjoy many Italian restaurants. Places with a number of salads or a focus on seafood are more likely to suit your needs. Pick a place where you can request your food cooked a certain way without major hassles. Cornstarch or cornmeal can substitute for flour, for example. Many breads can be made with gluten-free flour or with corn or rice-based flour. Rolled oats can substitute for breadcrumbs. Spices add zest to any dish. Play around with your favorite recipes and figure out how to make them gluten free.